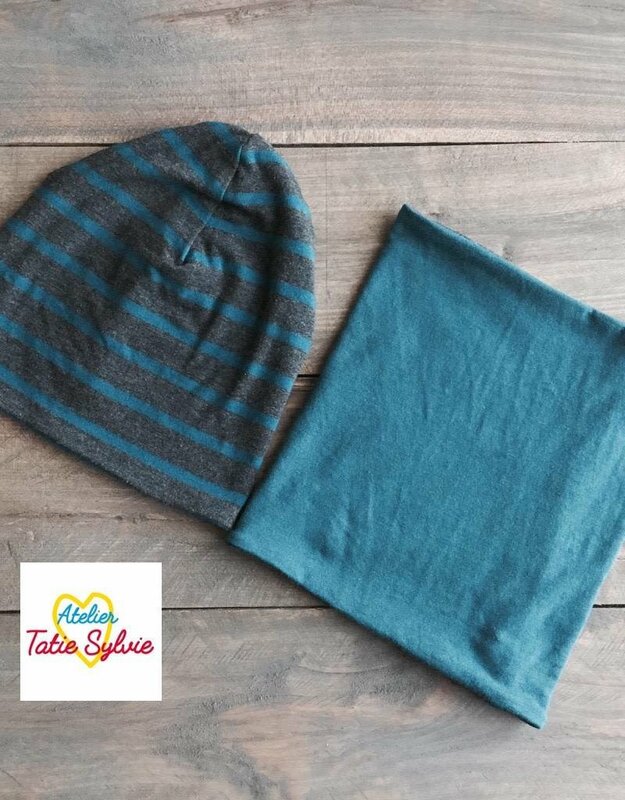 The reversible and adjustable tuque and scarf / neck warmer set can be worn in many ways: classic with a lapel, pleated, folded, raised, "beanie" or "slouchy" style. It is timeless and practical. Its bamboo fabric gives it a very great comfort while softness! 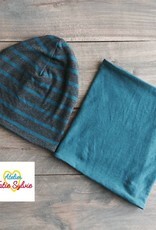 Reversible toque / collar sets are made of bamboo / cotton / spandex fabric. The patterns are made with the actual measurements of the children in the 90th percentile. Choose the size according to the age and weight of the child. Wash by hand or by gentle cycle machine upside down, then dry flat. Handmade in Quebec by Atelier Tatie Sylvie.